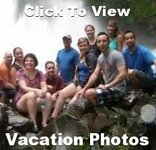 This group was developed to bring together people ages 18-35 to explore potential vacations ideas. Feel free to join! This group is all about 3 wonderful cities - London - Paris and Amsterdam. Whether you are trekking or taking the train Machu Picchu is not to be missed. Join Machu Picchu Forum!